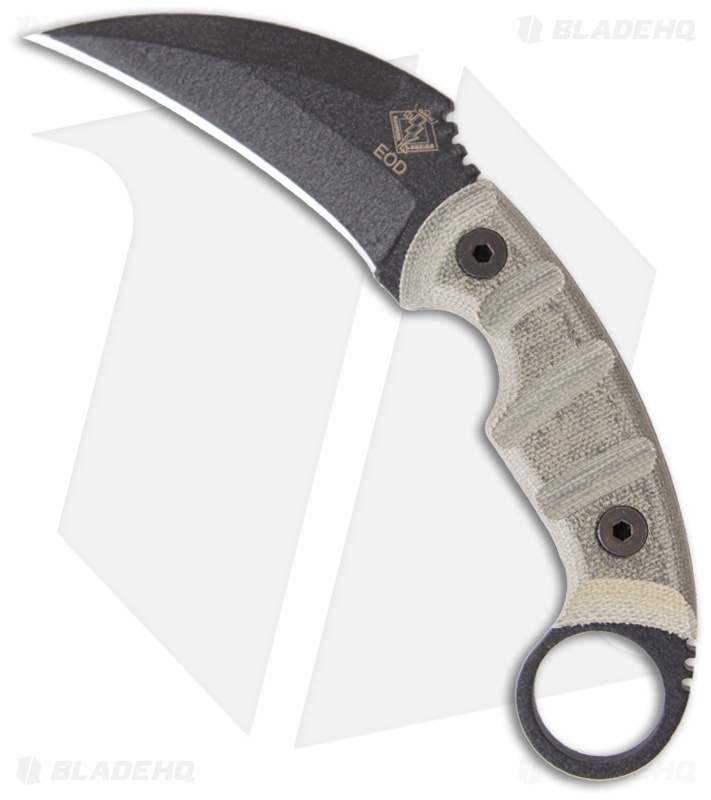 The Ranger Karambit EOD knife from OKC features a black texture powder coated 5160 steel blade with a plain edge. The full tang blade has a thumb ramp with notching for a strong grip. The Karambit EOD features green Micarta scales and a finger ring hole. 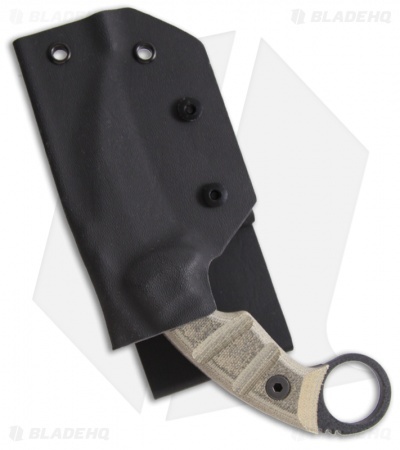 Includes Kydex sheath with a multi-position belt loop. It's an crudely finished blade. Overall , IMHO it's a $50-$75 knife, at best . While the sheath is total crap, the karambit itself is amazing. It didn't come very sharp, but if you have a minimal experience in sharpening, you can get it razor sharp in just a couple minutes. It is quite thick and hefty, which some people dislike, but I love it cause I love the beefy toughness and knowing this blade will never fail me! The sheath is the only reason I gave 4 instead of 5 stars. That said, I had mine kydexed and now would trade it for the world. Everyone complains about knives' sheaths. No, really, THIS sheath is actually the worst one EVER made. Worthless would be an improvement over impossible to remove, bulky as a baseball, and outright dangerous. If you thought you could sharpen the swedge, then know that you'll have to remove a LOT of metal just to create an apex. Even then, at best, it won't be very sharp. The main edge itself is poorly ground. The blade stock and handle are both VERY thick, which means it's quite heavy and will print even with a different sheath. The Ranger series is the best thing Ontario ever made, but this one is a DOG.